Your home’s cabinets don’t have to be dull. Then again, they don’t have to be so attention-grabbing that they overpower the room. Finding that happy medium while showing off your personal style is what it’s all about. Not sure which style is “yours?” Take a look at some of the latest cabinetry design trends and see if one (or a combination of several) speaks to the home designer in you! Smooth, solid surfaces, white paint and simple fixtures are all the rage right now. If you like a look that is classic yet modern, this is the style for you. 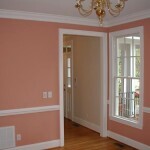 Also, if your room is small, choosing a white or off-white paint color will make the space look bigger and brighter. 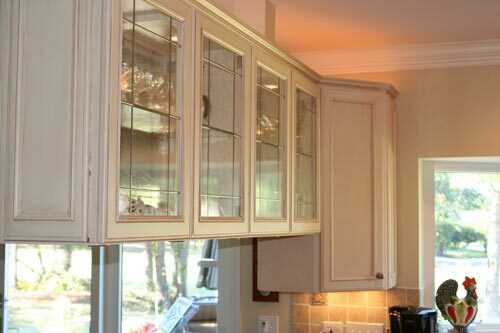 Another way to maximize space in compact kitchen is to install cabinets that are taller, reaching up to the ceiling. 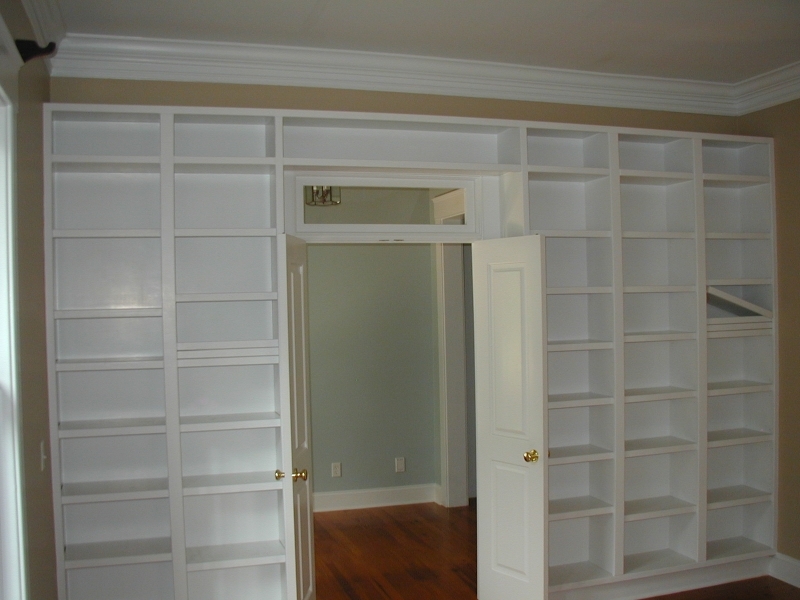 Not only will this provide more storage space, it helps create the illusion of higher ceilings and a bigger room. Not everyone is a big fan of the natural look of wood, but it’s definitely making a comeback these days. If you go this route, choose a stain that brings out the natural grain patterns. And if you’re new to cabinet staining, don’t hesitate to contact a pro. 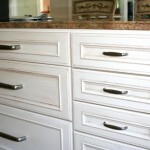 Another big trend we’re seeing nowadays is implementing furniture-like accents to cabinetry. Adding a matching moulding to the tops of cabinets is a great way to complement a kitchen or bathroom that has crown moulding already in place. Adding other embellishments such as undercounter corbels, decorative feet, columns or rosettes will give your cabinetry a distinct look. Got a collection of dishes, linens, knick-knacks or books that you really hate to hide behind a closed cabinet? 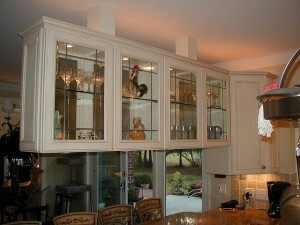 Glass-front cabinetry is the answer. This design style allows you to proudly display your items while still keeping them protected. The see-through feature also helps the room appear less “closed-off,” and may even make your space look larger. For more ideas on giving your room a cabinet makeover, talk to the pros at Colour Solutions – a team of friendly, experienced home improvement experts serving Wilmington, NC and the surrounding area. Just call (910) 686-3067 for a free consultation. Anyone considering putting a home on the market may scoff at the idea of investing in a new paint job. After all, won’t the new owners choose their own colors and shouldn’t they be able to see beyond those dingy walls and chipped trim? 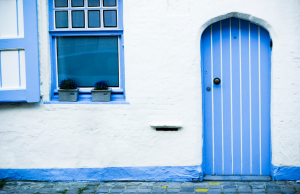 While these points may be valid, investing in fresh paint, both inside and out, can be much more beneficial than you may think. Designers and home improvement professionals have agreed for some time, that dollar for dollar, painting nets the most bang for the buck! Furthermore, putting your home’s best foot forward by making needed repairs, updates, and applying new paint, will very likely increase its value and allow for a higher asking price. Improving your home with paint can be as involved as completely painting your home’s exterior, redoing every room with the latest trendy colors or just touching up the trim. If it has been a while since you chose new paint, the experts at Colour Solutions will be happy show you the latest products and colors and steer you in the right direction. They have experience with creating neutral palettes that will compliment the setting and appeal to a broad base of potential homebuyers. 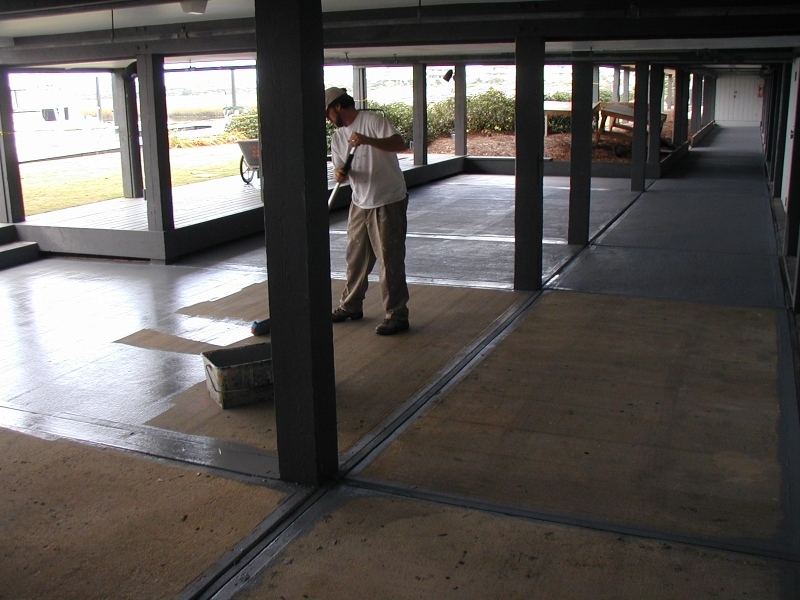 Concrete Cleaning – Makes driveways, walkways and patios look new. Drywall repair – Fix those problems before painting! Wallpaper removal – This can be tricky and leave an uneven surface, which is why we’ll be glad to tackle this type of job. Gutter cleaning – Unclogged gutters show that a house has been well maintained. 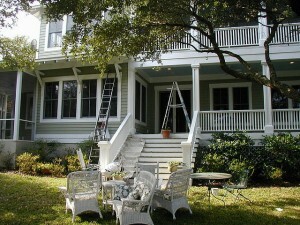 Pressure Washing – Nothing beats it for prepping a home’s exterior prior to painting. Stripping and refinishing doors, floors & other surfaces – The Colour Solutions crew can freshen up tired woodwork. Light Carpentry – We also do small jobs and minor repairs. Before calling your real estate agent, please call Colour Solutions. We’ll help you spruce up your property so it will list for the maximum asking price! Please give us a call at 910-686-3067. 1. Pressure Washing – Check exterior areas to see if a thorough pressure washing is in order. This is also a must-do activity prior to painting or staining. 2. 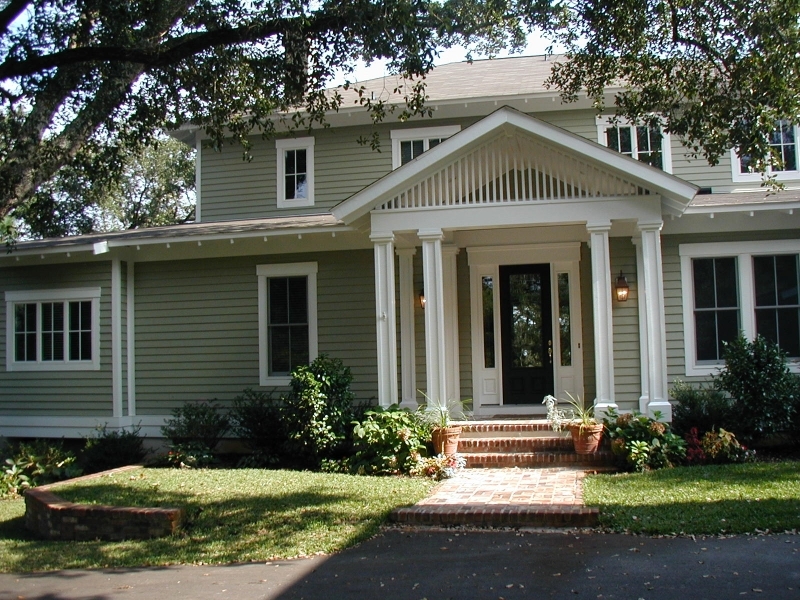 Exterior Paint – Whether you decide to paint the entire exterior or just the trim, the summer is an excellent time for these projects. Warm mornings and more light in the evenings make it easy to work these projects into your summer agenda. Just read the labels of the products carefully to ensure that you are using them under ideal conditions. 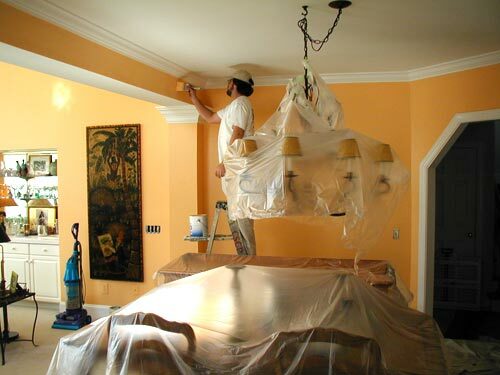 Or, better yet, call the experts at Colour Solutions and let them take care of your house painting projects! 3. 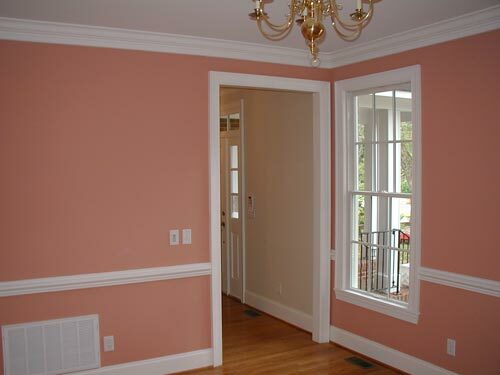 Windows and Entryways – Pay attention to the windows and entrances. Have summer showers splashed dirt and grime on these areas? In spite of any spring-cleaning that was done, by mid-summer it’s likely time for an encore. Sparkling windows and clean entryways equal (almost) instant gratification. 4. Outdoor Furniture – The previous point holds true for outdoor furniture, grills, and outdoor kitchens. Give them all a good scrub down and see if any touch-up jobs are called for. There are innovative paints for both metal and plastic that can breathe new life into tired finishes. Protecting those surfaces by sealing them with paint also prevents rust, mold, and mildew. And…you may be ready for a little pizzaz-wouldn’t that old chaise look amazing with a coat of flamingo pink paint? 5. 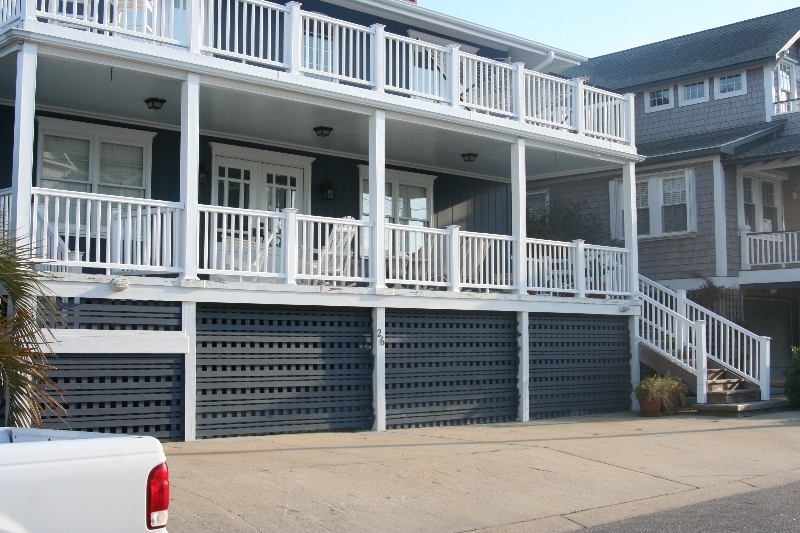 Deck Sealing – Is it time to reseal, paint or stain your porch or deck? The warm summer sun can speed up the curing process, which is vital to preserving the wood and keeping it looking great. 6. 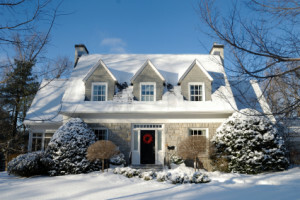 Decorations and Extras– Could your home’s exterior use a few extras? After the 4th of July, lots of “summer living” items are on sale big time. Surely you could use a few things such as: a new doormat, pretty pillows or cushions for outdoor furniture, solar walkway lights, wind chimes, a hurricane candle for your picnic table, or fresh blooms for your front porch containers? 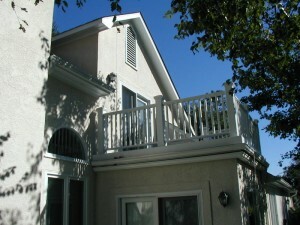 Remember that the additional TLC you give your home’s exterior has big payoffs. Along with improving curb appeal, freshening things up also gives your home extra protection against the harsh moisture and humidity of summer. 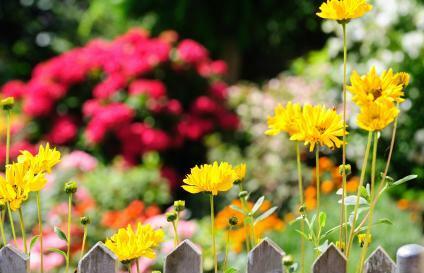 Get ready for those summer cookouts by giving your patio, deck or porch a makeover. Whether your wooden deck needs staining, your cement patio needs pressure washing or your front porch could use a fresh coat of paint, Colour Solutions can provide a wide range of services to make your outdoor living space the envy of the neighborhood. And the floor surfaces aren’t the only places that may need attention – porch ceilings, posts, doors and exterior walls can also be painted, stained or washed to give your space a completely new look. Summer is a great season to paint indoors. 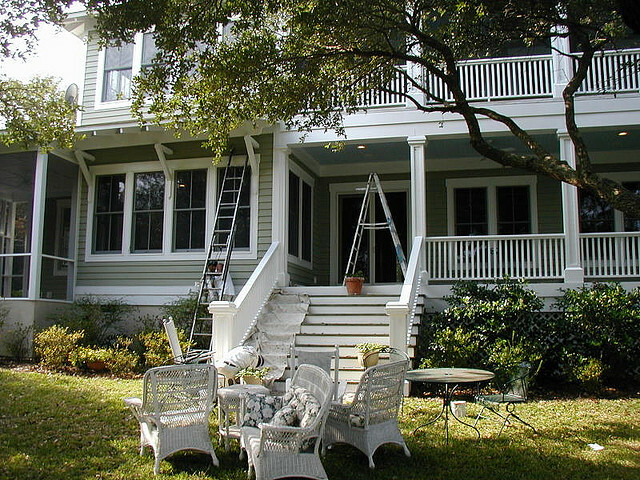 Here in the Southeast, high outdoor temperatures can make it challenging to complete exterior paint projects in the summertime, but interior paint jobs can be done quickly and easily without worrying about the heat and humidity complicating the project. 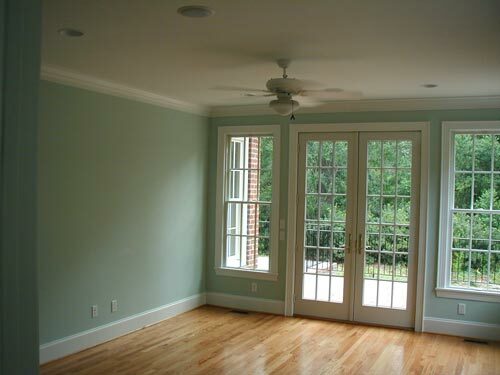 If you’ve been thinking about giving your indoor rooms a new look, Colour Solutions can offer homeowners top-quality interior painting services at reasonable prices. 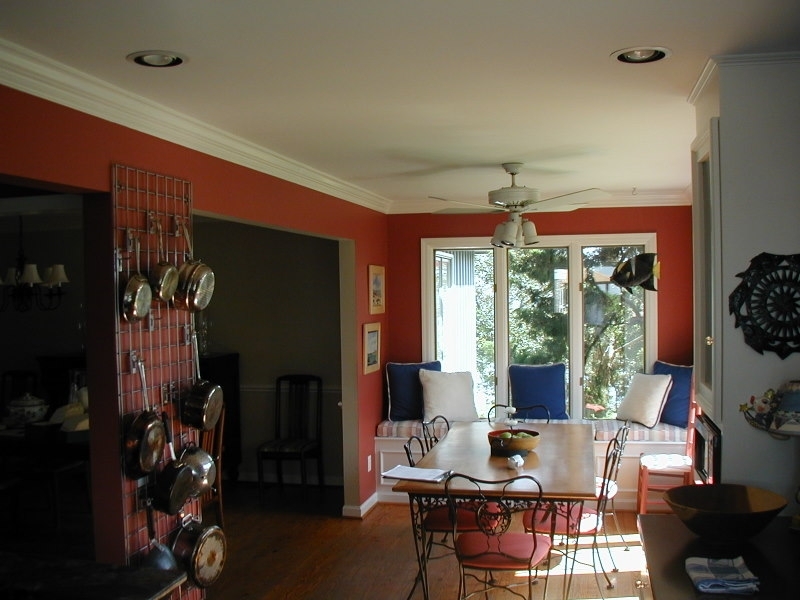 From choosing a new color scheme for your bedrooms to painting your kitchen cabinets to adding a faux finish in the dining room, we can provide clients with a full range of options – after all, painting is our specialty! Adding fresh paint indoors can also take care of those pesky scuff marks and scratches that may have occurred throughout the years. Colour Solutions knows how to effectively prep the wall surfaces to ensure your new paint job covers up small imperfections. If your home has wood fencing, you might want to consider having it professionally cleaned or painted. Because fencing is subjected to the elements every day, all day, it can tend to accumulate mildew and lose its original attractiveness. 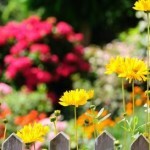 Quick, fairly inexpensive ways to improve the overall look of your home is to thoroughly clean or paint your fences. If you’re thinking of paint, Colour Solutions can even offer professional consultations on choosing a complementary color and offer suggestions on the type of paint to choose. 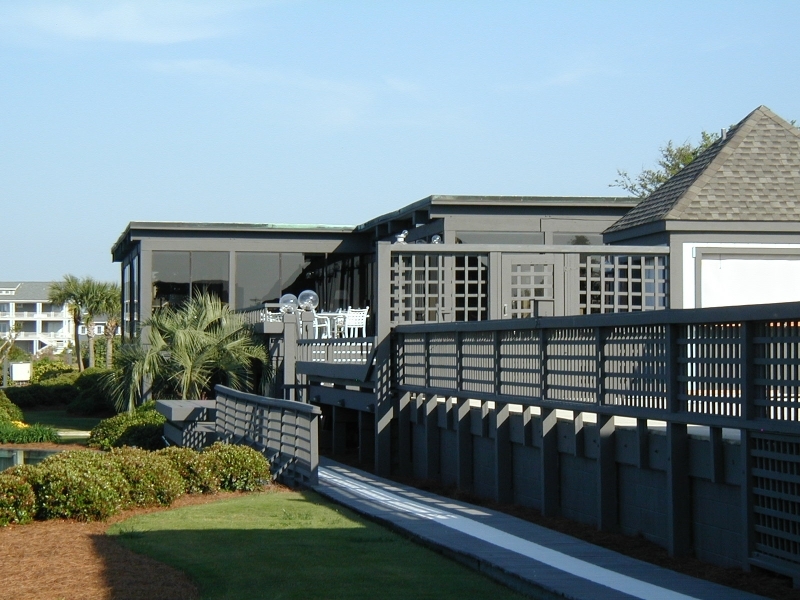 This project is best done in early summer, before the extreme heat of North Carolina sets in; however, if you do decide to hire us to paint outdoors, we at Colour Solutions can strategically perform the task to ensure the paint doesn’t dry too quickly before it has time to set. If your home or commercial building has gutters, be sure to keep them clear and clean for optimal use. 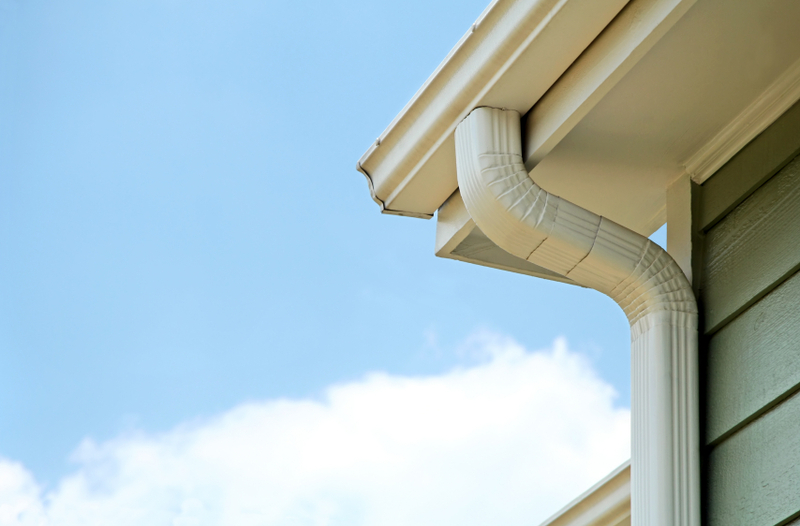 Once gutters become clogged or damaged, they fail to divert rainwater from your roof away from your home and foundation. This could possibly lead to expensive damage down the road. Gutters that are full of debris will become too heavy for the fasteners to support them, which can lead to the gutters becoming detached from the roof (sometimes pulling part of the roof away with it). Create a gutter-cleaning schedule – Gutters ought to be cleaned thoroughly three or four times a year. However, your gutters may need to be cleaned more frequently if your home is exposed to higher-than-average rainfall or debris. Write down your gutter cleaning schedule on a calendar in advance so you won’t forget. Trim back tree branches that are close to your roof – Trees that are close to your home will most likely drop significant amounts of leaves and other debris that will eventually clog up your gutters. One way to proactively deal with this is to cut back the tree branches that are close to or hanging over your roof. Don’t just scoop out the gutters; actually CLEAN them – Although leaves and debris will clog your gutters quickly, mildew, moss or algae may grow in your gutters over time. That’s why it’s important not just to remove the debris, but to clear out the residue that builds up.